South Central Railway announced new Tri – weekly fully AC Superfast express train between Kakinada Town and Secunderabad from 09-12-202 on wards. 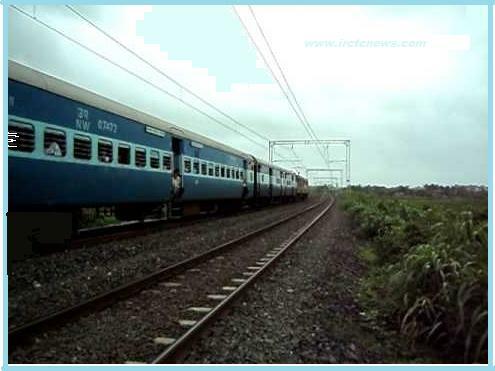 Train No.12775 Kakinada Town – Secunderabad tri-weekly AC Express depart Kakinada Town Railway Station at 20.10 hrs o­n Sundays, Tuesdays and Thursdays and arrive Secunderabad at 06.55 hrs,on the next day. Rajahmundry, Tanuku, Bhimavaram Town, Akiveedu,Kaikalur, Gudivada, Vijayawada,Khammam and Warangal Stations. 1 AC First Class, 3 AC II Tier, 10 AC Three Tier,and 2 Power Cars,totaling to 16 coaches.